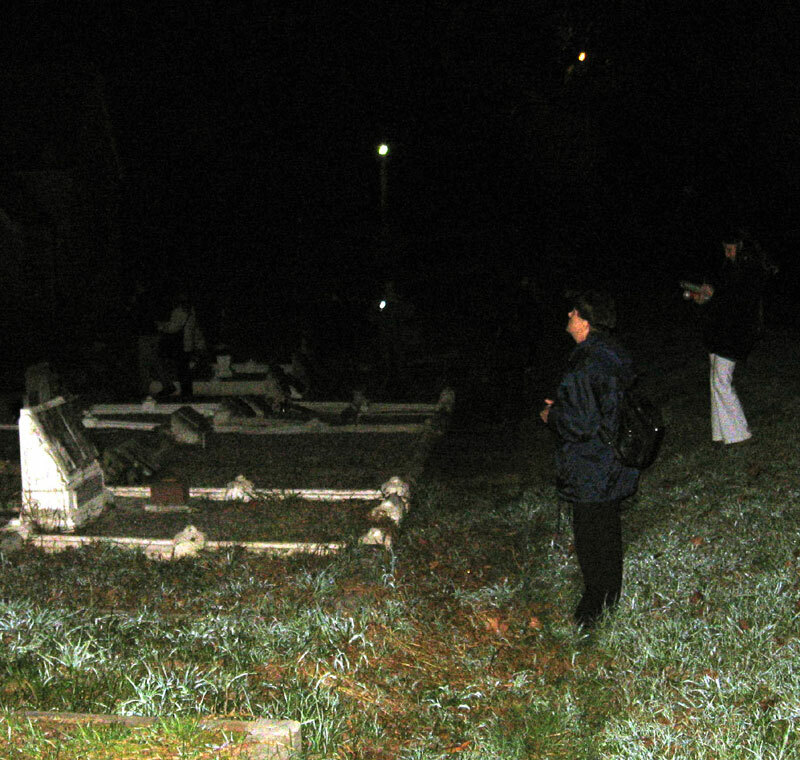 Members of the SOuL Searchers team conducted paranormal investigations at the Pioneer Graveyard at St Mark’s church, Picton and also at the Stone Quarry Viaduct, Picton. 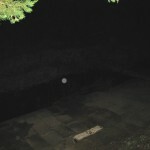 Below is a brief history of these two locations, followed by the results of the team’s investigations on the night of April 12, 2008. Pioneer Graveyard at St Mark’s Anglican Church, Picton. 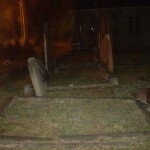 St Mark’s Anglican Church and Pioneer Graveyard was built in 1856, designed by Architect Edmond Blacket and was built of Sandstone. The Church is located on Menangle Street West, Picton. 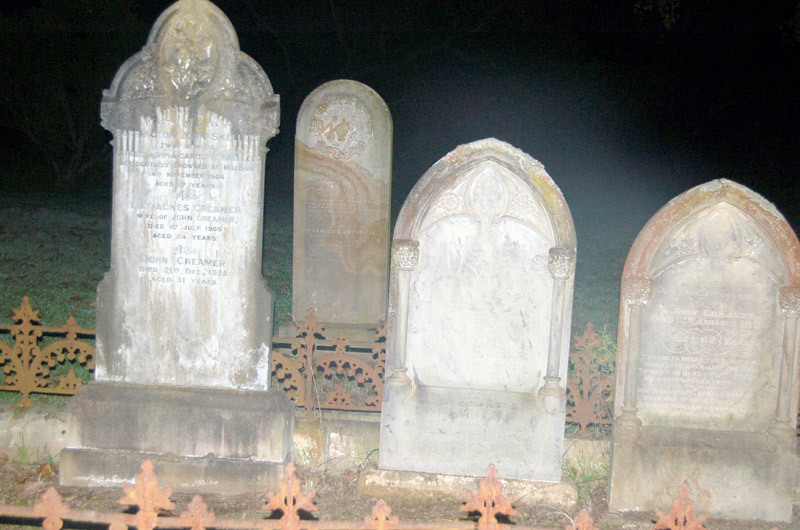 There have been several reports of children dressed in old fashion clothes; they have been seen walking around the graves and then they disappear. A large dog has also been seen on many occasions and has been responsible for scaring some of the visitors. 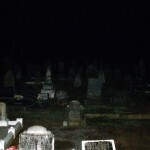 Some have suggested it was the ghost of the minister’s St Bernard that was buried on the church grounds. The Stone Quarry Viaduct was the first viaduct that was built outside Sydney on the NSW Railway system. It was built of sandstone between 1863 and 1867 and is still in use today. 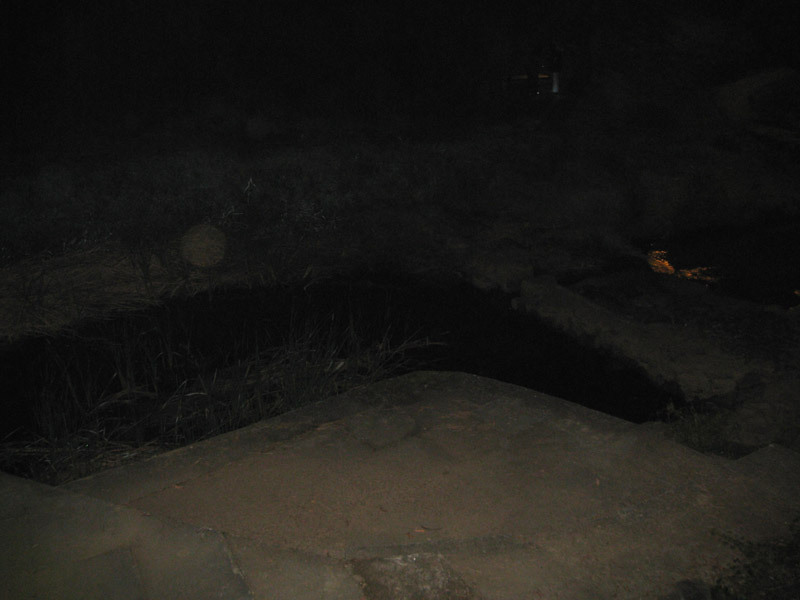 It is built over the creek, where people would gather to swim and cool off in the warm weather. Over the years many people drowned in the creek. Many locals and visitors have heard the sounds of people swimming and splashing around, when upon inspection, they found not a soul around. After a week of rain, Saturday night’s weather turned out just perfect for an investigation; no rain and no wind just a normal clear cool autumn night. There were eleven investigators and we all congregated at Vabys Restaurant for dinner before we headed out on our investigation. 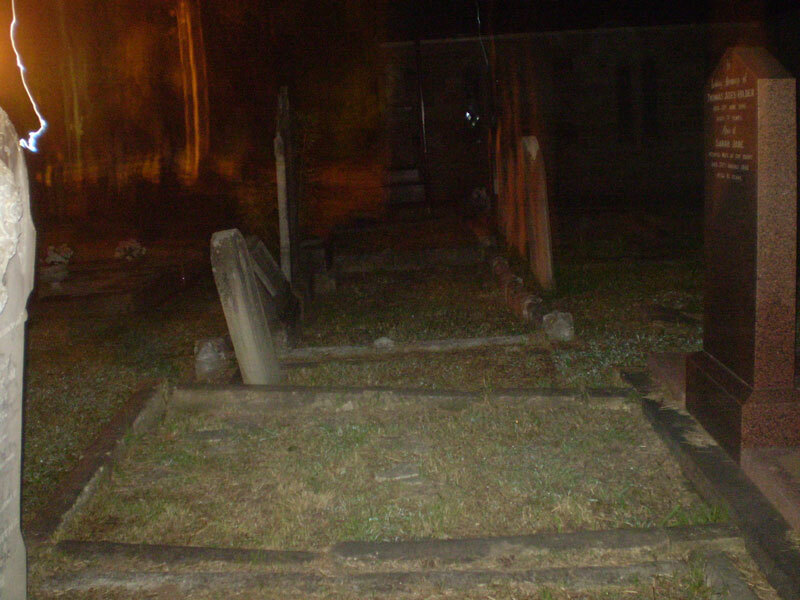 St Mark’s grave yard was the first location for our investigation; on arrival we all proceeded to walk around the grave yard to gauge the energy of the site. 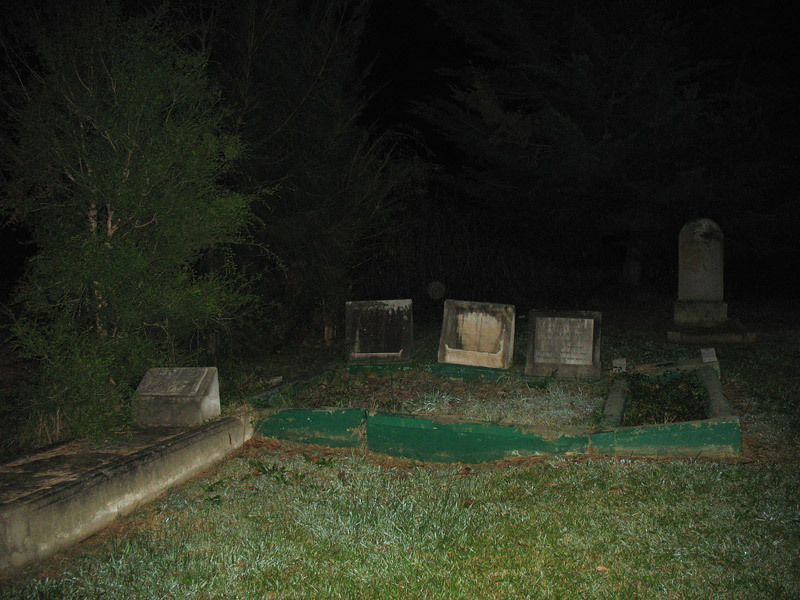 Unfortunately we were not greeted by any ghostly apparitions but we did have a mysterious fog roll up behind one of the graves at one stage then mysteriously disappear. There were a few unexplained beeps from the EMF meter and some reaction from our dowsing instruments, some strange negative energies but no other substantial or supporting evidence. Our second site on the night was the Viaduct and was the most interesting of the sites. 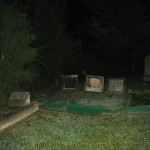 A couple of the investigators had reported seeing unexplainable dark shadows; Jenni & Sam had a strange encounter with an invisible entity and some strange light and mist anomalies were captured on our photos. Overall the night was quite enjoyable. The SOuL Searchers team still hasn’t bedded down an investigation format properly at this stage but with a bit of reorganization and meetings to plan strategies we will definitely be conducting our investigations more systematically in the future. Click on the photos to see an enlarged view. Getting a ‘feel’ for the place and checking energy. 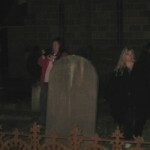 Team member with video camera – hoping to pick up some paranormal activity. Carefully exploring under the Viaduct. 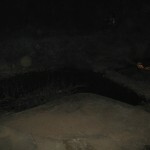 This area being photographed had a very “dark” energy. 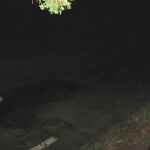 Was Hael and welcome to the latest article on Paranormal investigations. My name is Jenni Barnett, and I’m one of the members of the Spheres of Light group – SOuL Searchers – who conduct investigations into the Paranormal and Supernatural, as an integral part of our Shamanic journeys. 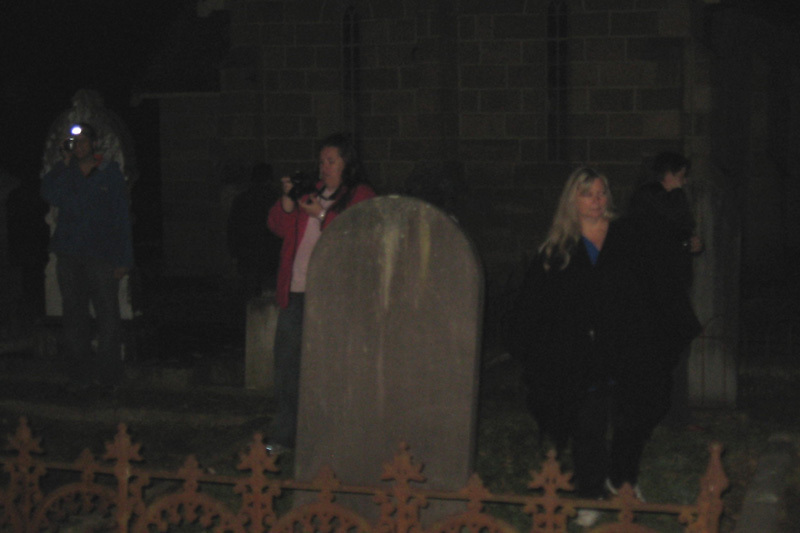 On this particular night, we started off at St Mark’s church and graveyard. 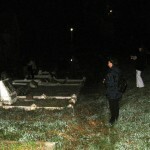 There is already a sense of the weird and otherworldly, simply because a graveyard is where people are buried. It’s really amazing the sort of activity that transpires from such places. 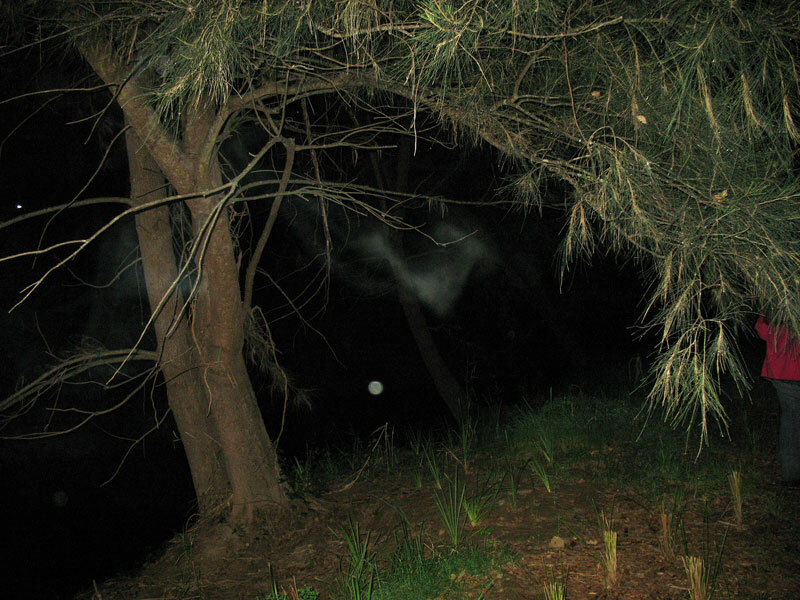 No one would know for sure – without deeper probing perhaps – as to who the spirits that inhabit these places are. What is distinctive, though, is the energy that emanates from them. 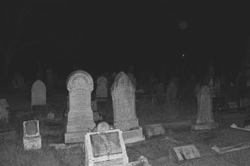 A light, fleeting energy would suggest a spirit passing through, while a heavier, darker energy would suggest an earthbound spirit – someone who can’t or won’t leave his last incarnation. 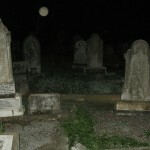 Picton is a rather old rural town in NSW, and it is a place well-renowned for spirit activity. St Mark’s offered us some interesting insights this night. I can, at this point, only offer a perspective from some of the members along with myself, but the crux of the activity from the graveyard seemed to be near the church. 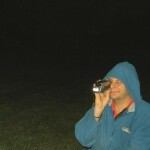 Samantha had taken a picture on her digital camera that came out foggy (see photo below this article). At the same time and place, the dowsing rods I was using crossed over each other and Charlene’s EMF emitted activity by making a noise. Sam also had a compass that suddenly moved off its northern point – without an apparent reason for doing so. Janine had also started feeling rather uneasy at this point. Closer to the church, there was a significant, and immediate reaction from some of us simultaneously. Janine felt sick, and my stomach tightened into a rather hard knot. My solar plexus (one of the seven major chakras, located around your stomach and lower ribcage) always pick up on ill and nasty feelings. I walked up to one of the locked doors and the feeling intensified. I asked Janine to come to the door and she still felt sick, if not more so. I don’t know the exact history of St Mark’s, but I had a very bad feeling about the place. Some of us walked the perimeter of the church when Charlene started to smell sewerage – there are no exposed sewer pipes anywhere in the vicinity – and I had a really nasty taste in my mouth. 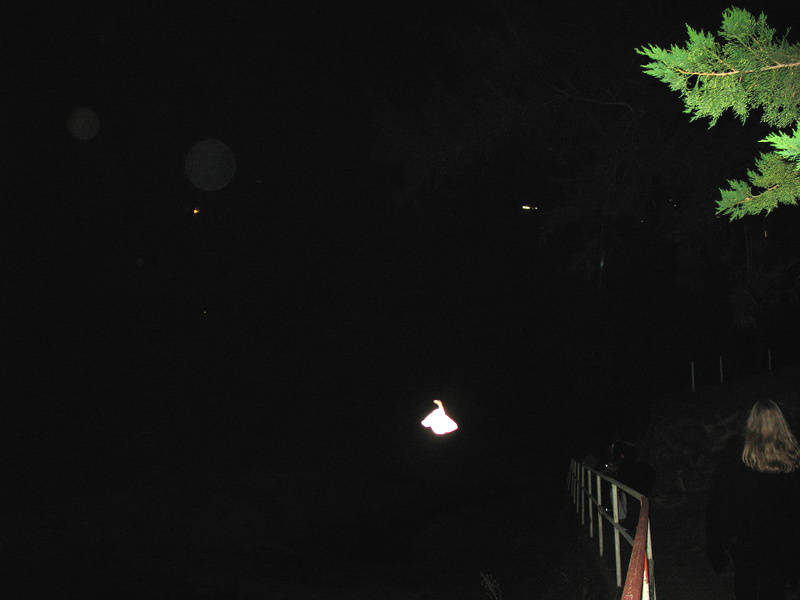 The general consensus at that point was that we picked up a good deal of activity and those that took photos had found orbs and the like. 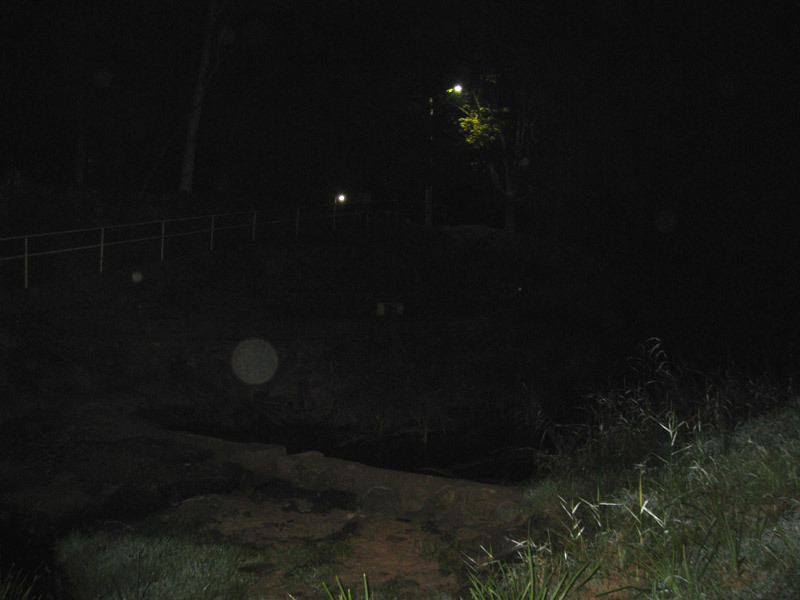 The next place (we intended to only scout two places this night) was the nearby railway viaduct and creek. As I didn’t go to the viaduct, I wasn’t aware of any activity, but I don’t think that anything untoward was found or encountered. One of our members did take a fall and hurt her foot, but luckily it wasn’t anything serious. At the creek and bridge, however, there were some interesting observations and activity at hand. 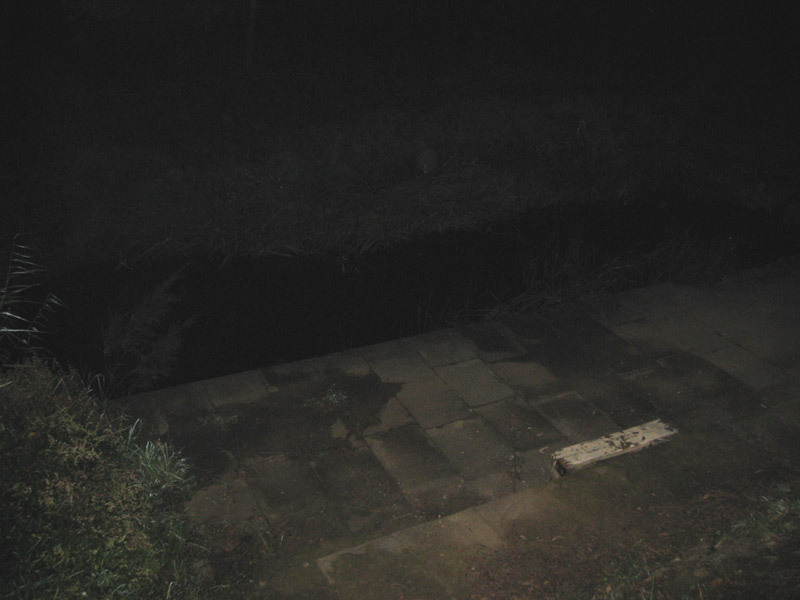 A few of us decided to cross the bridge – we had a joke about a Troll under the bridge – and look into the water. There was a swirling energy in the water near the bridge. It could’ve been caused by some fish or frogs, except that the swirl was in the same spot and not moving. There is a possibility of elemental activity. 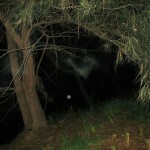 I looked up at the embankment in front of me and saw a shadow moving amongst the trees. I think Janine saw something along similar lines later on. Last time we were here, I stayed on the west side of the bridge, but I decided to go with Sam on the east side – as there seemed to be some activity noted from there last time. Immediately, there was a sense of something else among us. 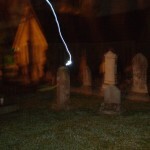 Sam and I felt the presence of a spirit. The temperature also dropped but only where we were standing. It was a biting cold that just cut through the bone. 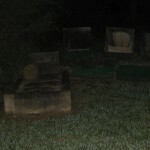 We started hearing noises and heavy footsteps, like the thudding of boots, someone running. Nearby was a clump of trees that oozed much elemental energy. One of the members came over and started taking pictures to see what she was able to find. She then walked off, seemingly not picking up on much but she also felt the cold. 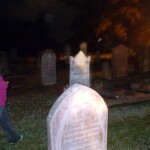 Sam and I wanted this spirit to communicate with us, but it wasn’t forthcoming – not till we decided to leave! We turned to walk away when I felt a rock thrown at the back of my leg. Sam and I jumped, needless to say, had a laugh and walked back to the others on the other side of the bridge. I mentioned earlier how we joked about the Troll under the bridge, and wondered afterwards whether we had hit the mark in that regard. 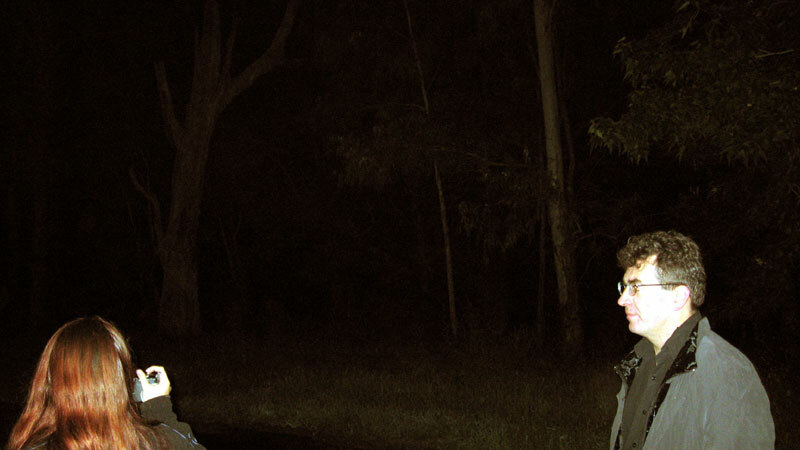 There are myths and legends in Australia pertinent to what we would call Yowies – the equivalent of Troll, big foot, yeti etc. The group observed that the west side of the bridge was a lot more peaceful in comparison to the east side, and on the bridge itself there was also a weird feeling. Near where we parked our cars, there was a flat grassed area which emanated some dense energy (see last photo by Janine, directly above this article). As cold as the night was, it felt even colder, and my lower back was feeling sore. I was standing still, didn’t move suddenly to feel the pain and I certainly hadn’t jarred it! Despite the fact that I’ve been along to a fair amount of investigations now, I’m always fascinated by the outcome. It’s never the same feeling twice, and some things just simply cannot be so easily explained. The logical mind will always want to find a reasonable explanation – and there are occasions when that is warranted, perhaps always – but sometimes it is better to accept an open mind when such matters happen. 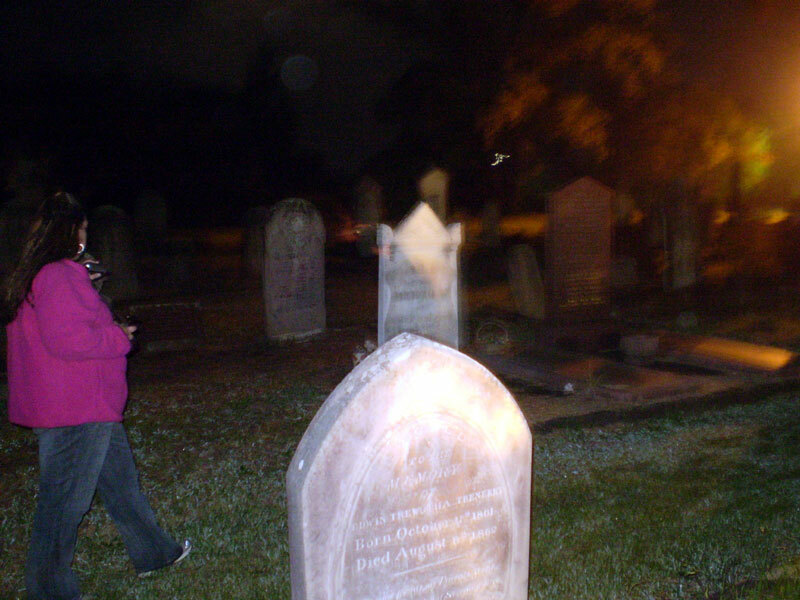 In my home town, I’ve been hearing about one or two people visiting the local cemetery and other haunts alone, or only in pairs. I can’t stress the importance of never going to such places alone!! In the first instance, one of our friends fell over, and amongst a group. She wasn’t seriously hurt, but too often there have been worse case scenarios of people walking alone and getting seriously injured. Another example would be that of the beginner not taking adequate steps to protect him/herself. Rest assured, if you don’t protect yourself, there’s no way of knowing what you’re going to take home with you afterwards – and the unforeseen consequences that would surely follow! 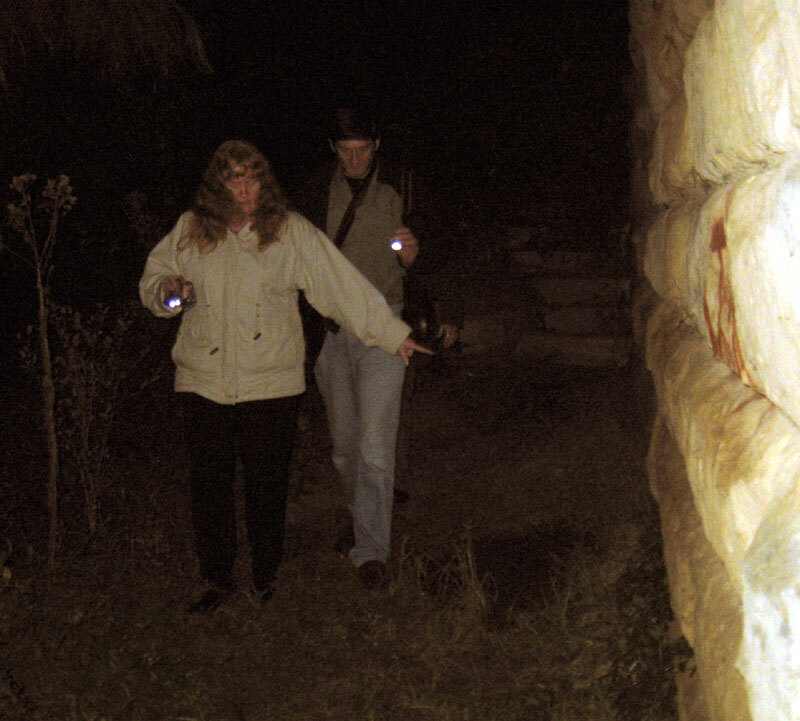 I went on a ghost-busting investigation with a woman who was getting rid of a ghost from this person’s home. I went in, thinking that I did all the right things, but being new to all of that at the time, I think the ghost sensed it. The following day, I took my children away for the weekend down the South Coast, only for the car to have rolled, into a mobile home on the caravan site and causing some damage! The car was still in park! No one was hurt, but I was in a state of shock. 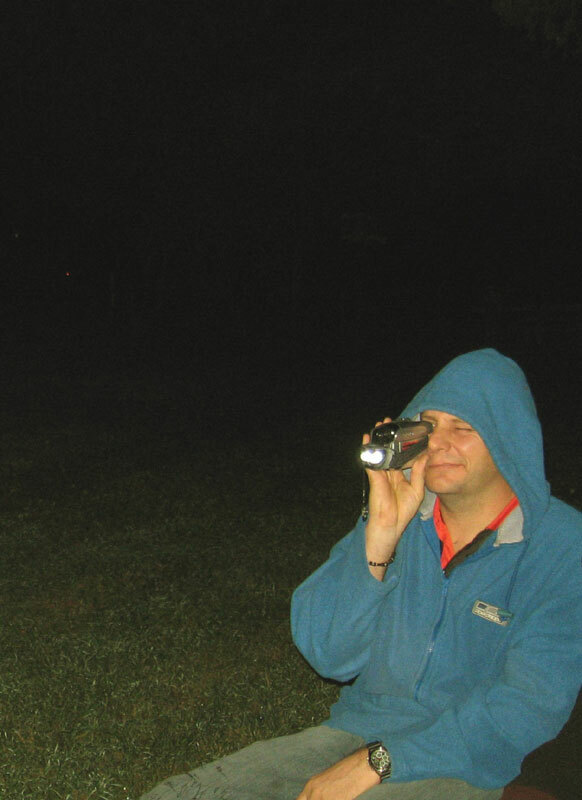 For the newcomers to the paranormal, go with others who know what they’re doing. Learn about safety measures to take in order to protect yourself, before any investigation. Leave any crystal jewellery at home, as they absorb all forms of energy. If you travel in your car, protect that as well. Don’t leave anything to chance. 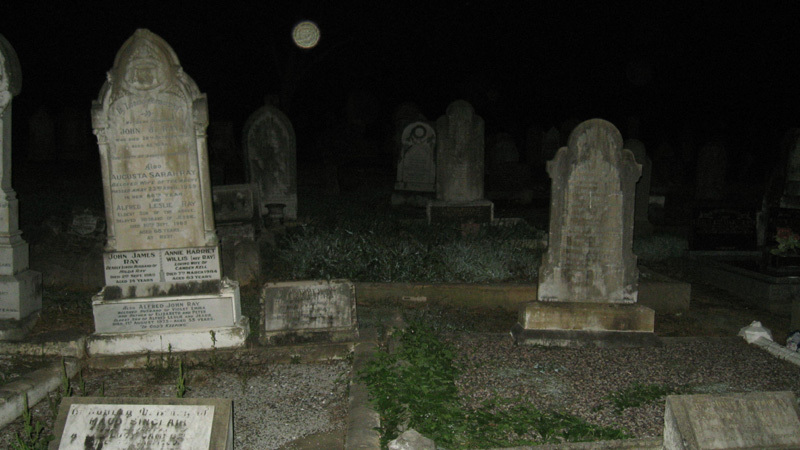 This particular group of graves captured my interest – and it shows a yellow orb on one grave. Now it could be caused by something on the tree branch that overhangs the graves, but then again… ??? 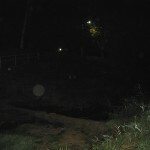 I photographed the eastern side of the creek from the path on the western side, revealing this orb. 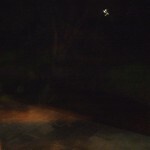 Close-up of orb in creek. 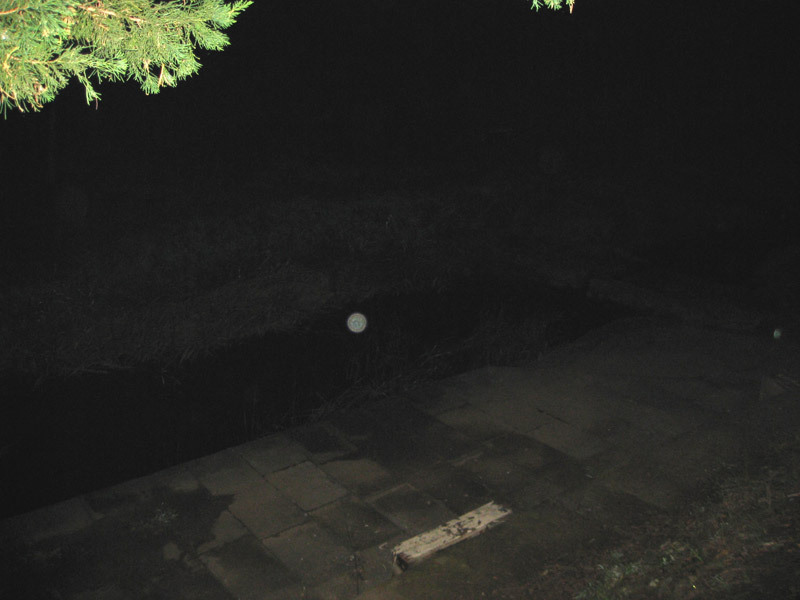 …I then moved a bit further down the path – the orb is still there. You can tell it’s in the same location in relation to other landmarks. These photos are only 1 minute apart. …still further along the path – now it’s not there. 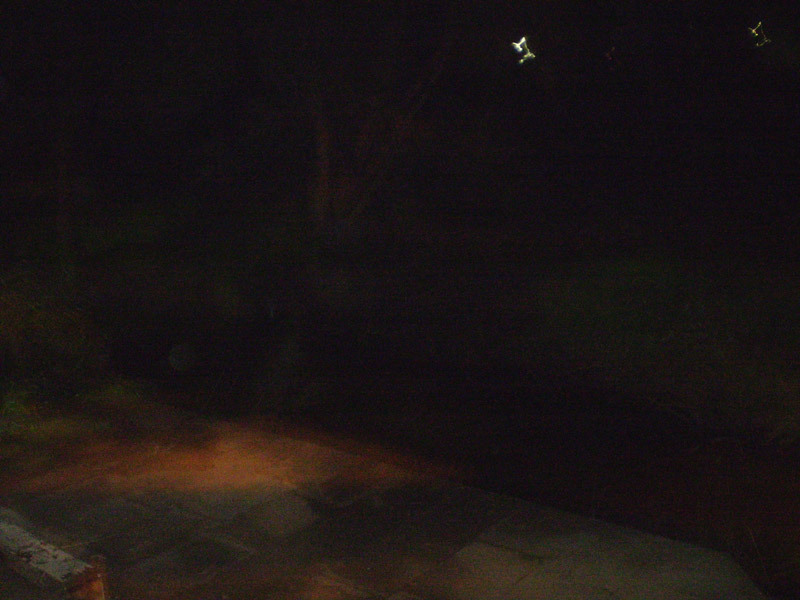 I first thought that maybe I’d photographed a reflection of a street light or something (even though I don’t remember seeing anything there at the time) but other photos show that torch or street light reflections in the water don’t look like orbs – they look like rippled reflections, as you’d expect them to. This next orb, on the same side of the creek, looks different to the others. 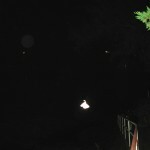 The orange glow to the right is the reflection of orange fog light in the street above. 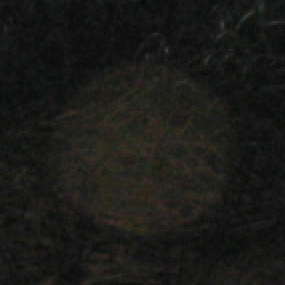 Close-up of previous different-looking orb – spook or the red focusing beam from someone else’s camera (although I wouldn’t expect the edges to be so sharp at that distance) or some other mundane explanation? 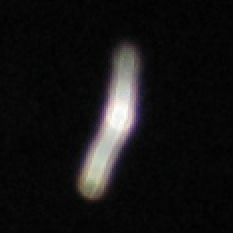 Now this one’s weird, showing what appears to be a streak of light. 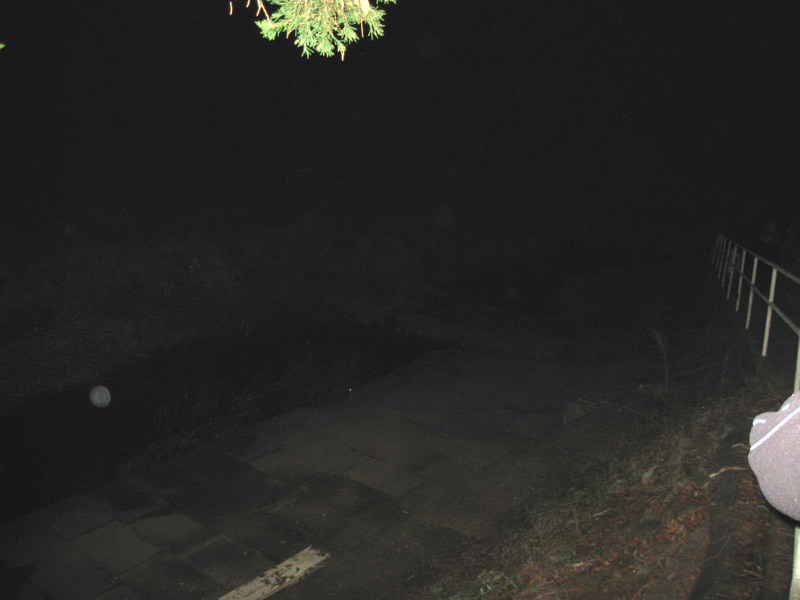 It can’t be a torch as no-one is standing there, and as it’s below the path it can’t be a distant street light. It’s another location I felt the “need” to photograph. Hmm….? 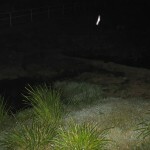 Close-up of ghostly light streak. 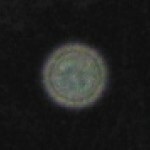 Here’s another large orb, and a smaller one, on the same side (taken less than 2 minutes after the “streak” photo). You can clearly see the difference between the street lights and the streak in the previous photo. 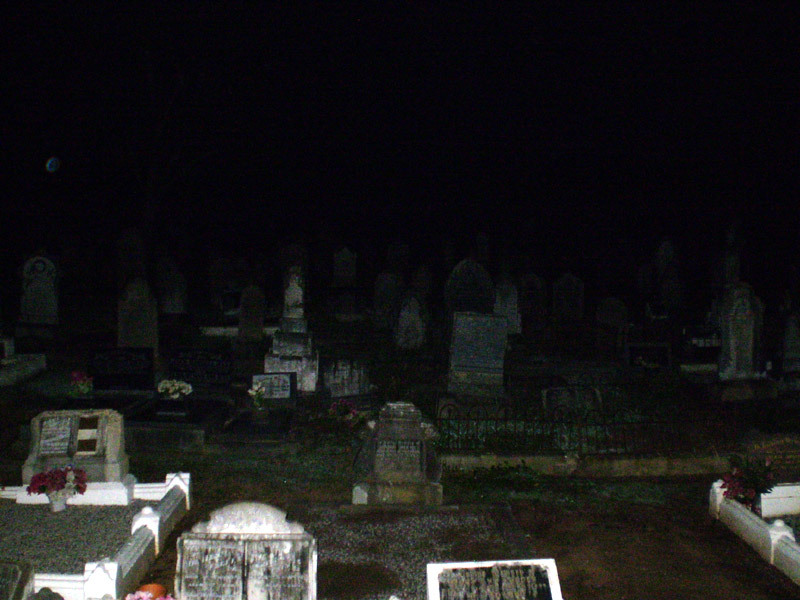 Cemetery with orb near top left of photo. 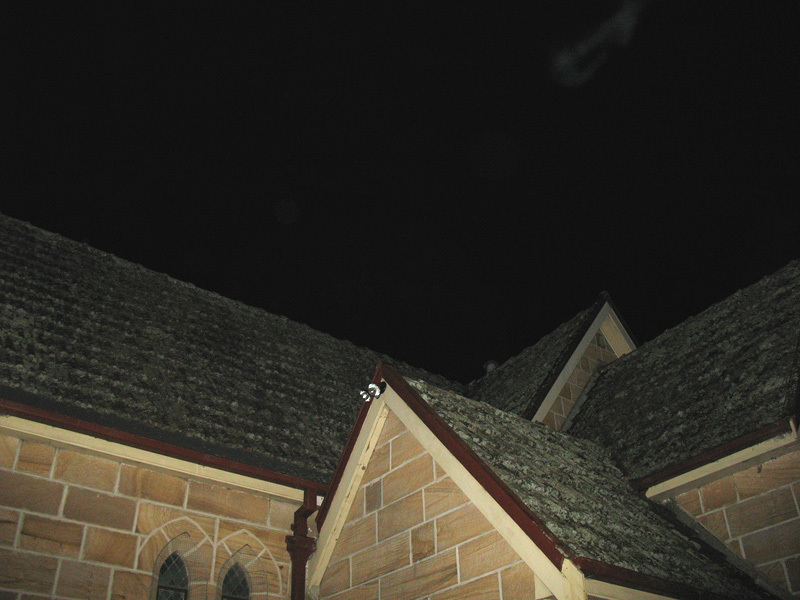 Taking readings with EMF meter – also shows orbs, top centre. Orange glow most likely due to nearby street light, white squiggle could be effect of camera shake on distant street light. Spook?? 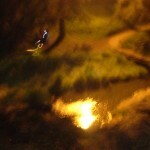 or the result of camera movement on someone’s LED torch? It’s difficult to see if anyone was standing there or not. Ghostly light squiggle? …or camera movement? 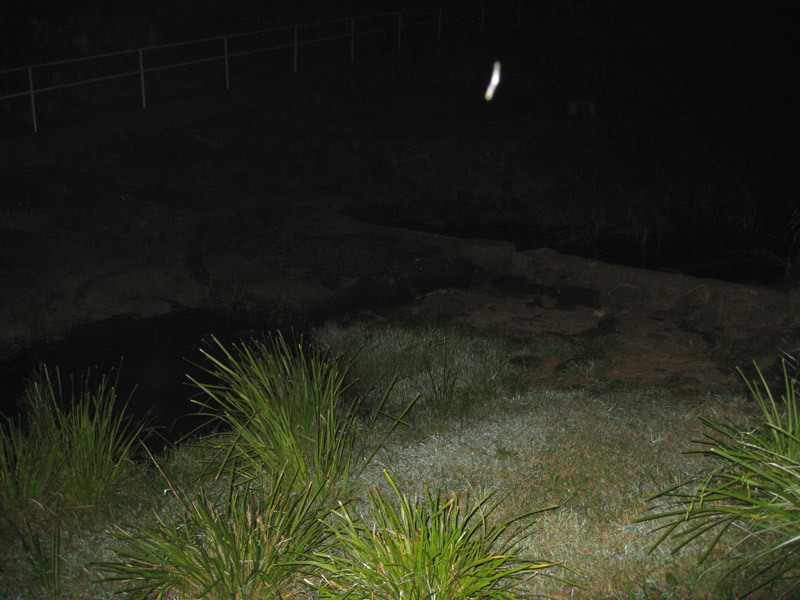 Faint orbs over creek, plus light squiggles – again, they are likely due to camera movement while viewing distant street lights through the trees on the road above – note that both squiggles, while differing in intensity, are identical in shape, indicating that a mundane explanation is most likely. 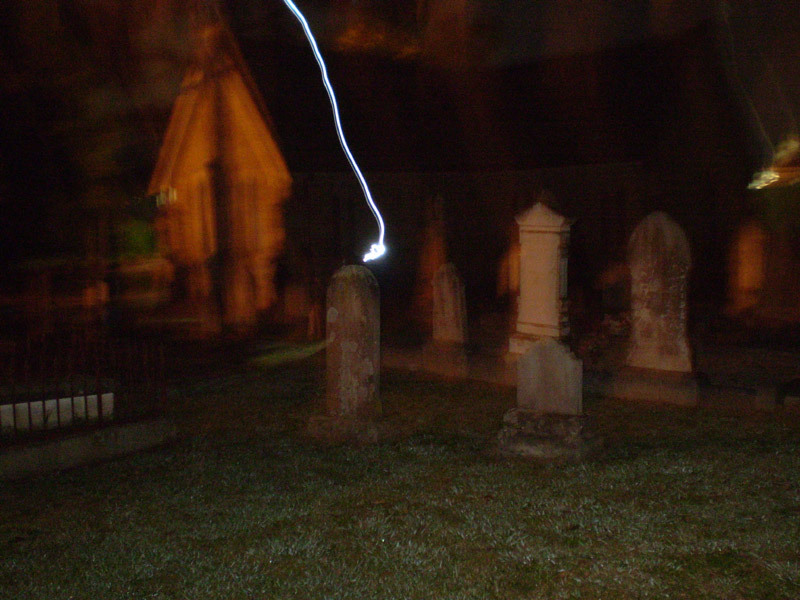 Ghostly light squiggles? There does not appear to be anybody standing there holding torches. There is also a mysterious looking dark, shadowy shape beside them! 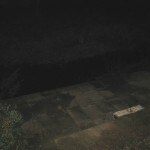 The bright patch in the creek is definitely a reflection of the orange-tinged fog light in the street above (it consistently appears in others’ photos taken at this same spot, on this and previous visits to the area). 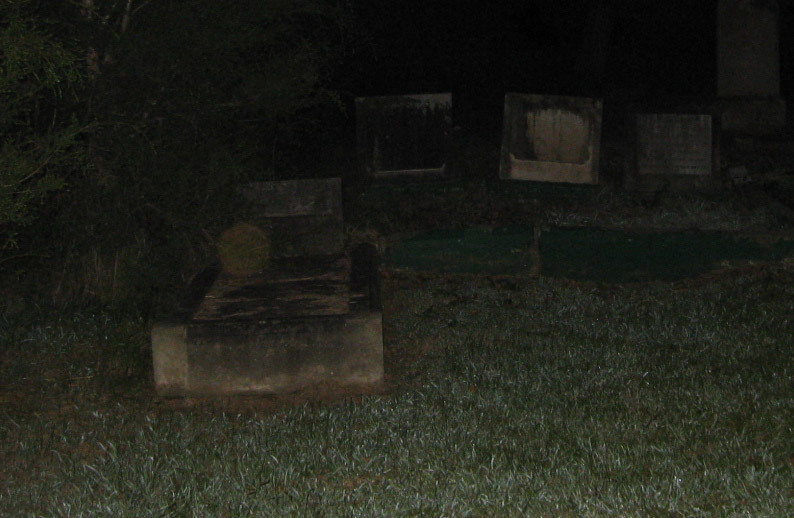 Graves (same set that Jenny showed, above) with orb. 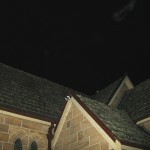 Andrew mentioned there was something on the roof of the church and when I pointed the camera up this is what I got (top right hand corner of the image). Some mist; it wasn’t from anyone talking as the girls in the corner of the image are ahead of where it is and the wind wasn’t blowing that direction. I have no idea; it wasn’t in the shot beforehand or the one taken straight after. 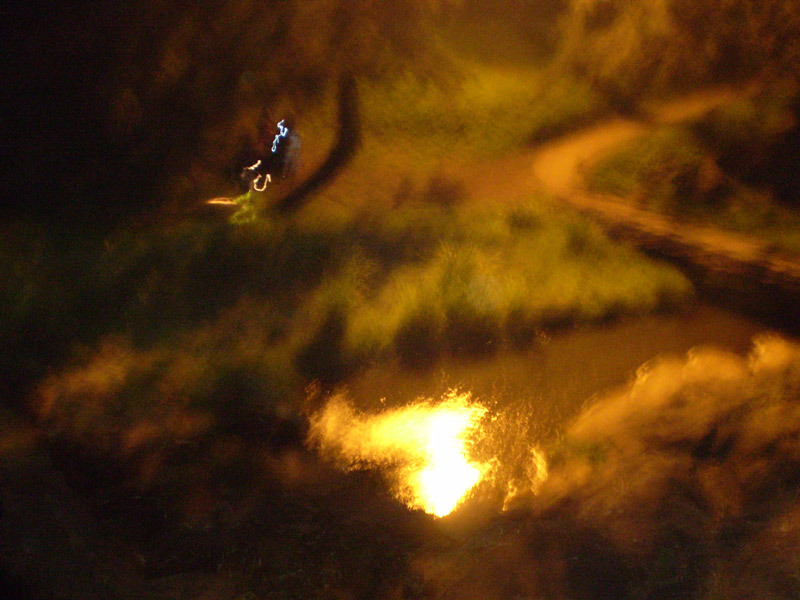 It isn’t a refection from a streetlight (it was orange and was in the water further downstream).